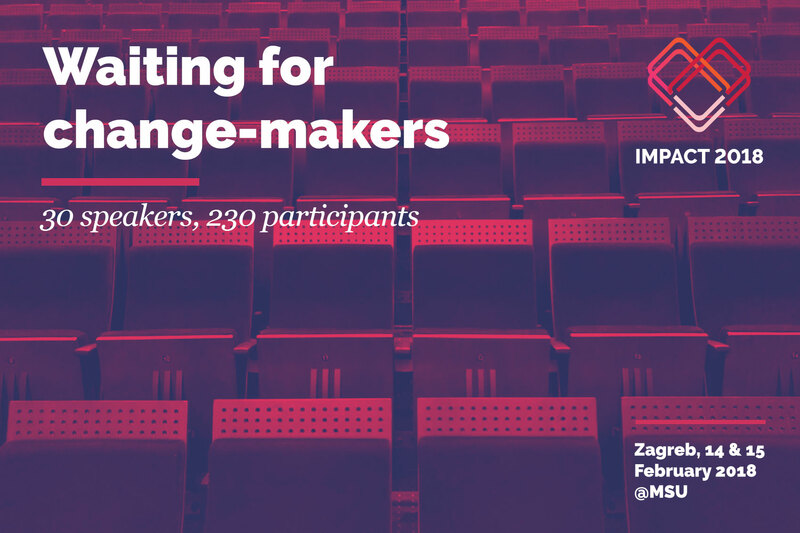 This February Impact 2018 Conference (http://impactconference.net) hosted investors in socially responsible projects and socially responsible companies and organizations from all over Europe in Zagreb, Croatia. The conference, which took place from 14 to 15 February 2018 at the Museum of Contemporary Art in Zagreb, was organized by the agency Brodoto and ACT Group. The aim of the conference was to bring together all actors bringing about positive change in society - private companies, investors, foundations, civil society and social enterprises. "The event managed to bring socially responsible businesses and organizations closer to a wider audience in a very approachable and straightforward way. We insisted on the dynamic TED-format talks, swift Ignite presentations and creating engaging atmosphere for both - the lecturers and the audience. We are especially proud of the fact that, for the first time in this part of Europe, we gathered so many representatives of different social impact funds from the US and Europe willing to invest significant funds into projects that bring direct benefits to the society", said Marko Gregović, the Conference Chair. Impact 2018 offered participants the opportunity to acquire new practical knowledge due to a combination of lectures, panels and workshops delivered by over forty highly qualified experts, including representatives of socially responsible companies such as Vipnet, Heineken, IKEA and Erste Group. "Anyone even vaguely interested in social impact or socially responsible projects was sure to find this conference interesting. It hosted some of the most influential names in the social innovations business - from Rodney Schwartz from the British investment bank ClearlySo, that annually invests millions into socially viable projects, through Rohit Dave from Twilio Impact Fund from Silicon Valley to Biljana Dakić Đorđević, who runs the innovative Trag Foundation in Serbia", said Teo Petričević, Program Director of Impact 2018 Conference. 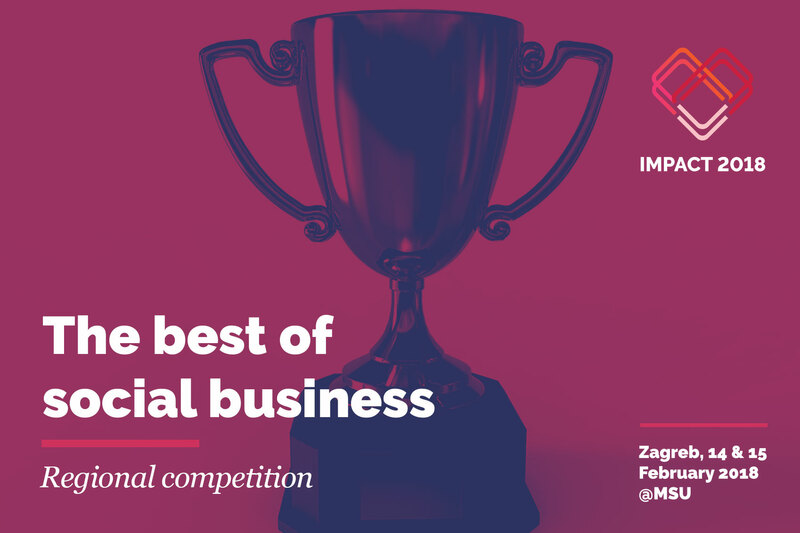 In addition to engaging lectures and workshops, Impact 2018 conference hosted a competition for the best social business idea in front of social impact investors with Albanian start-up Pana and two Slovenian start-ups - Oilright and Evegreen claiming the title of the Most promising social business amongst tough competition of eleven social businesses from the region. The Impact 2018 Conference was held with the support of the US Embassy, Vipnet, Heineken, the German Marshall Fund, Croatian Ministry of Labour and Pension System, the European Fund for the Balkans and other sponsors.